Occupational and Environmental Safety Engineering and Management provides in-depth guidance toward all aspects of workplace safety. Extensive explanations of relevant legislation and regulation aids in compliance, while individual coverage of major hazards including fire, noise, and electricity provides targeted guidance for effective management. Practical appendices provide lists of known and suspected carcinogens, extremely hazardous substances, and OSHA permissible exposure limits for quick reference, while detailed discussion throughout provides clear, expert guidance for health and safety professionals. H. R. Kavianian and C. A. Wentz are the authors of Occupational and Environmental Safety Engineering and Management, published by Wiley. 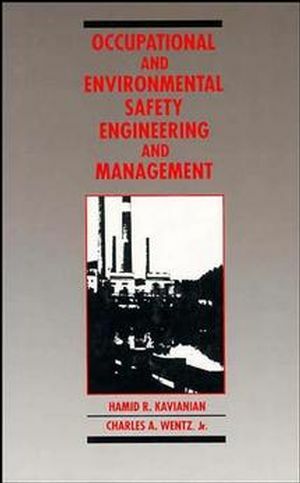 Introduction to Safety Engineering and Managment. The Management of Personal Protective Equipment. Determining the Cause of Accidents and Conducting Effective Safety Audits. System Safety Analysis in Process Design. Computer Systems and Statistical Methods for Occupational Safety and Health Management.